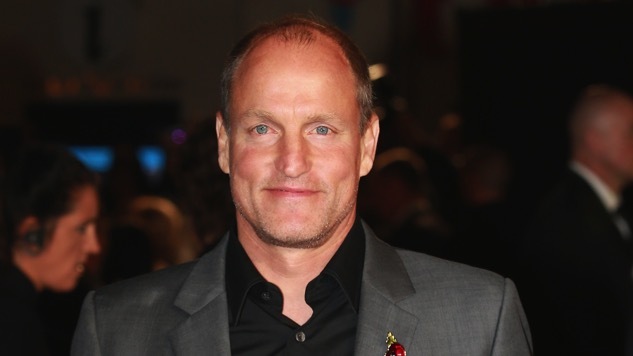 Following last week’s announcement that Woody Harrelson was in early talks to join the forthcoming Han Solo movie as the young space cowboy’s mentor, Lucasfilm announced on StarWars.com that the actor has officially signed on for the spin-off film, which, following Rogue One, is the second Star Wars movie to exist outside the main-line narrative involving Skywalker and kin. Despite little being known about Harrelson’s role, the actor seems like a promising casting choice. His experience playing a batty, liquor-swigging mentor-type in The Hunger Games series suggests that he knows how to balance teacherly sensibilities with more than a dash of craze, a skill that just might come in handy in a Star Wars film that could very well decide to channel the irreverence of its lead character. On the other hand, maybe what the film will need is a coiled, serious contrast to Solo’s devil-may-care persona, in which case Harrelson’s role from True Detective would be a promising resume item. In other words, this man has range, and what’s more, he’s donned a cowboy hat more than once (No Country for Old Men, Zombieland), making him seem ripe for initiation into a series that is, at its core, an intergalactic Western. With this latest casting news, it is clear that the as-yet-untitled Star Wars spin-off is shaping up to be quite the star-studded project, with Atlanta’s Donald Glover playing the young Lando Calrissian, Game of Thrones’ Emilia Clarke in an undisclosed role, and Alden Ehrenreich of Hail, Caesar! fame leading the team as Solo himself. The film will be lensed by Bradford Young, whose majestic work in Selma and Arrival foretells a great-looking movie, whereas directors Phil Lord and Chris Miller always deliver large helpings of goofball to anything they touch, making their roles as helmsmen for a Han Solo movie seem very fitting indeed.